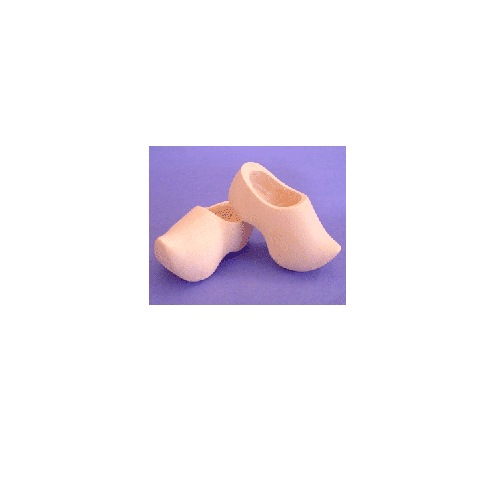 I order these blanks from Holland, then route them out to fit a dolls foot. 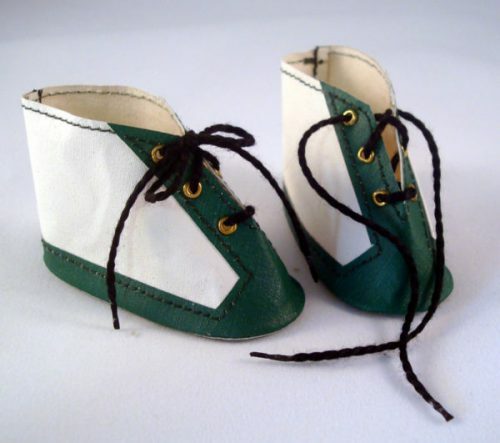 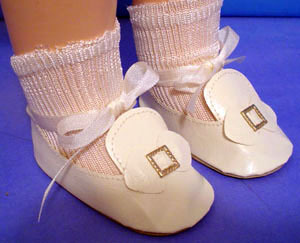 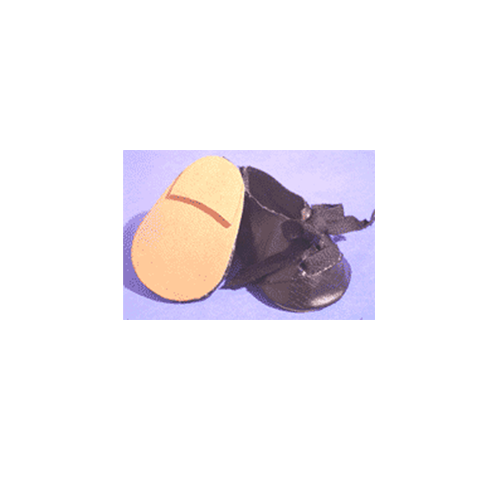 These wooden shoes fit the Effanbee Patsy Tinyette that has a foot size of 5/8″ X 1 1/8″. 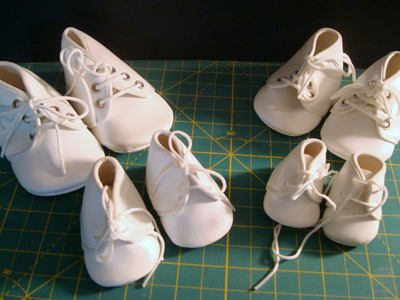 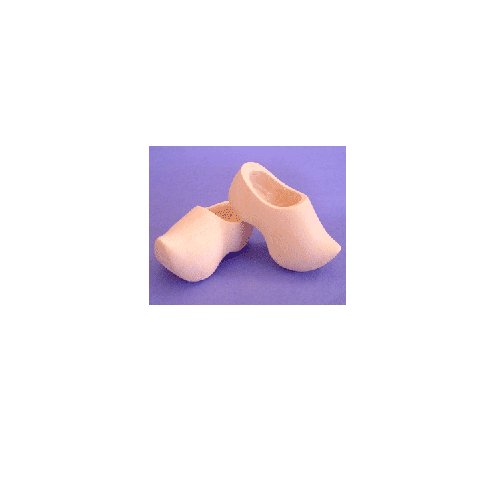 The wooden shoes on the outside are 1″ X 2″.